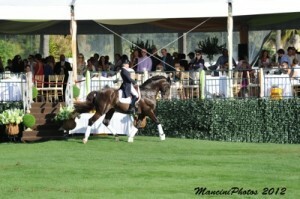 The Trump Invitational benefits the 2013 FTI Consulting Great Charity Challenge (FTI GCC), present by Fidelity Investments®, one of the hallmarks of Equestrian Sport Productions’ FTI Consulting Winter Equestrian Festival. The event has raised and distributed over $2.7 million to local Palm Beach charities over the last three years. In addition to the grand prix competition on Sunday, a wild card charity was drawn for the 2013 FTI GCC, The Voice winner Cassadee Pope performed some of her top songs as well as the national anthem, and Olympic Dressage duo Tina Konyot and Calecto V performed their winning freestyle exhibition. 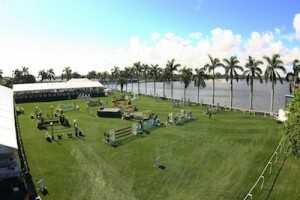 The competition field at The Mar-a-Lago Club on the Intracoastal Waterway. Photo © Sportfot. During the festivities, a wild card charity was chosen to compete in this year’s FTI GCC. Donald Trump performed the random drawing and picked Big Brothers and Big Sisters of Palm Beach County. Following the great success of the live auction (all proceeds going to the FTI GCC) for a foursome at the world-famous Trump International Golf Club with Donald Trump, which brought in $34,000 from bidder Nadine Allen and was then matched by the generous support of Mike Smith, concluding at $68,000. Mark Bellissimo added an unexpected draw to benefit another charity. The lucky winner, Horses Healing Hearts, will receive a $25,000 donation rather than being included as a participant of the FTI Consulting Great Charity Challenge. Donald Trump, Cassadee Pope, and Mark Bellissimo. Bellissimo also made a $10,000 contribution to Natural High in Cassadee Pope’s name, a drug prevention organization that she works closely with, which was then matched by Donald Trump. “We knew that Cassadee took time out of her busy schedule to join us here today, and we wanted to make sure that the charitable giving also helped a cause that is close to her heart,” Bellissimo said. Cassadee Pope performed two songs from her winning turn on The Voice, as well as the national anthem. Concluding the wonderful spirit of giving of the event, Mr. Trump announced that he will be a major contributor of the 2013 FTI GCC by donating $100,000 to the event. Bellissimo honored the sponsors of the event in a special presentation where they were presented with bottles of Veuve Clicquot champagne. Thank you to The Mar-a-Lago Club, Donald and Melania Trump; G&C Farm, Gustavo and Carolina Mirabal; Suncast®, Tom and Jeannie Tisbo; Gut Einhaus, Ansgar and Ellen Holtgers; and corporate sponsors Nespresso USA, Celedinas Insurance Group, American Eurocopter, Carol Sollak Realty LLC/Engel & Volkers Wellington, Moet Hennessy, Braman Motorcars, and Badgley Mischka. 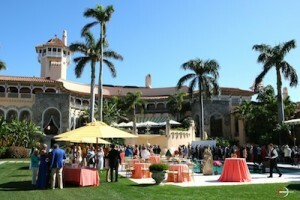 Guests were greeted poolside at The Mar-a-Lago Club. Photo © Sportfot. 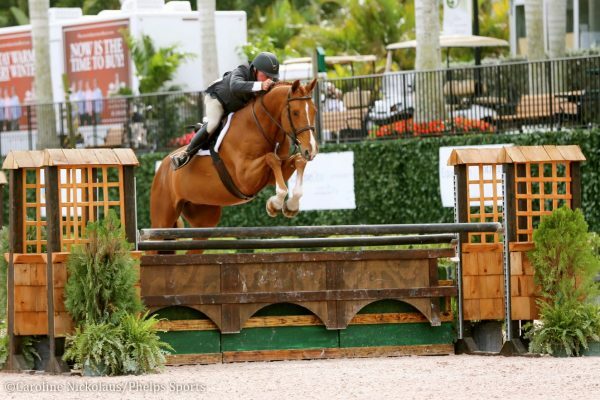 U.S. Olympians Tina Konyot and Calecto V performed a grand prix freestyle exhibition. Photo © ManciniPhotos. 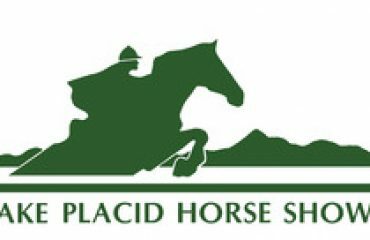 International course designer Anthony D’Ambrosio, of Red Hook, NY, set the track for Sunday’s class with 36 entries competing. 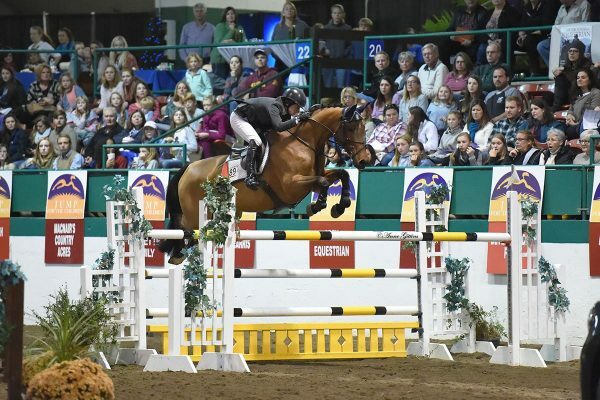 Four of the horse and rider combinations were able to clear the course without fault to advance to the jump-off, and the over 600 spectators that enjoyed VIP dining in the ringside tents watched an exciting tiebreaker. Brazil’s Rodrigo Pessoa and HH Let’s Fly, owned by Double H Farm, were the first pair to clear the course and first to return for the jump-off. The accomplished duo put in another clear performance in the second round and set the pace at 44.31 seconds to eventually place second. Charlie Jayne (USA) and Pony Lane Farm’s Waldman Z were next to compete, but had one rail down in a time of 44.62 seconds to finish third. Schuyler Riley (USA) and M. Michael Meller’s Waterloo also had a rail in the jump-off and stopped the clock in 46.97 seconds to place fourth. Last to jump-off, Kent Farrington and Dynamo thrilled the crowd with a fast, clear round almost two seconds faster than Pessoa to take the win in 42.62 seconds. Kent Farrington and Dynamo. Photo © Sportfot. When the top four riders returned for the jump-off, they were careful to plans their tracks accordingly on the grass footing. Following the class, winner Kent Farrington spoke about the benefit of going last. 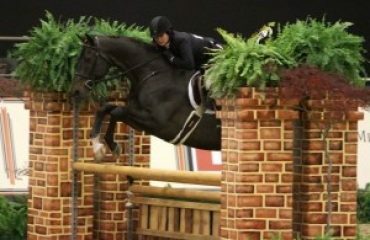 Winning horse, Dynamo, is a ten-year-old Belgian Warmblood gelding by Skippy II x Lys de Darmen who belongs to one of Farrington’s students, Meagan Nusz. Nusz usually rides Dynamo and lent him to Farrington for the special class. 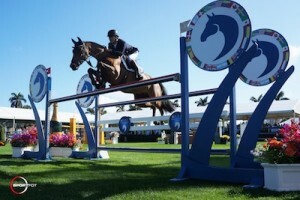 Kent Farrington and Dynamo jump over the Veuve Clicquot fence. Photo © Sportfot. Click the link below to watch an interview with Kent Farrington on his win in the $100,000 Trump Invitational. Rodrigo Pessoa and HH Let’s Fly. Photo © Sportfot. Second place finisher Rodrigo Pessoa also spoke about his round and the advantage he had of going early on in the class as well as the jump-off with HH Let’s Fly. 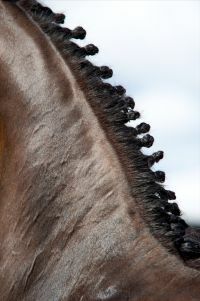 The small confines of the ring also made a difference for some of the horses and riders. 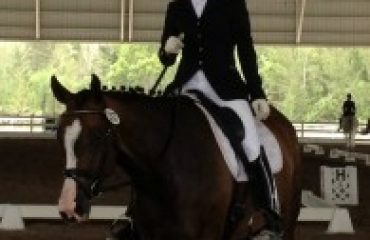 Pessoa pointed out that it was much like riding in a smaller indoor arena and required an accurate ride. Charlie Jayne and Waldman Z. Photo © Sportfot. Third place finisher Charlie Jayne and fourth place finisher Schuyler Riley each also spoke about the class and their rides. 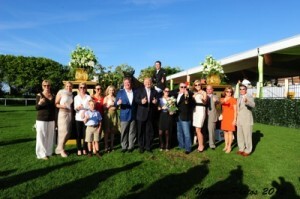 Kent Farrington and Dynamo in their winning presentation with the Trump Invitational sponsors, event chairs, Mark Bellissimo, and Donald Trump. Photo © ManciniPhotos. 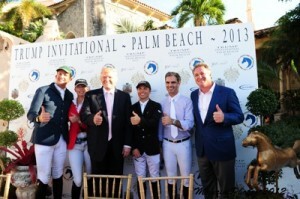 Charlie Jayne, Schuyler Riley, Donald Trump, Kent Farrington, Rodrigo Pessoa, and Mark Bellissimo. 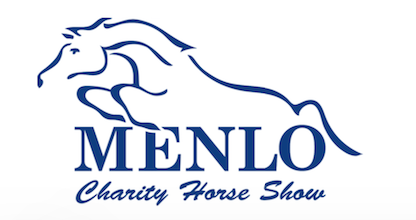 Equestrian Sport Productions’ CEO Mark Bellissimo was thrilled with the event and looks forward to making improvements in order to ensure that the class will be even better next year. Trump Invitational Event Chair Georgina Bloomberg. Donald Trump had a great time and also looks forward to hosting the event again. He already has ideas on how to make improvements. Trump Invitational. Photo © Sportfot. All in all, the inaugural Trump Invitational was a huge success and everyone looks forward to planning a bigger and better event for the coming year. Equestrian Sport Productions would like to thank those who made this year’s event possible and hopes to see everyone back next year! Sunday’s class was a kick-off to the season for the 2013 FTI Consulting Winter Equestrian Festival. The 12-week circuit begins this Wednesday, January 9, and runs through March 31, 2013. The Mar-a-Lago Club is the title sponsor of week one competition as well as the presenting sponsor of the $30,000 Mar-a-Lago Club Grand Prix, which will be held at 2 p.m. on Sunday, January 13, at the beautiful Palm Beach International Equestrian Center. Another highlight of the week is the $55,000 Nespresso Battle of the Sexes to start the “Saturday Night Lights” series on Saturday, January 12, with gates opening at 6 p.m. For more information, please visit www.equestriansport.com. 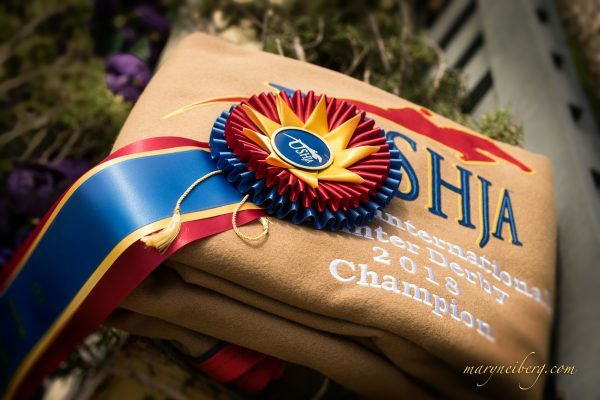 Please visit www.equestriansport.com or call 561-793-5867 for more information on Equestrian Sport Productions and the 2013 FTI Consulting Winter Equestrian Festival.